← La Transition Energétique enfin votée: quels rôles pour le Réseau de Transport d’Electricité RTE? Only two systems address the important issue of linking the short and long-term: financial and non-financial. The first is based on the prediction of Long-term results and cash flow discounting. The second is the future status of the assets of marketing today. New directions for research are identified in a few areas: strategies and tactics, brand value, customer capital, the financial impact, environment, competition and market impact. There are currently several ways to measure marketing productivity. 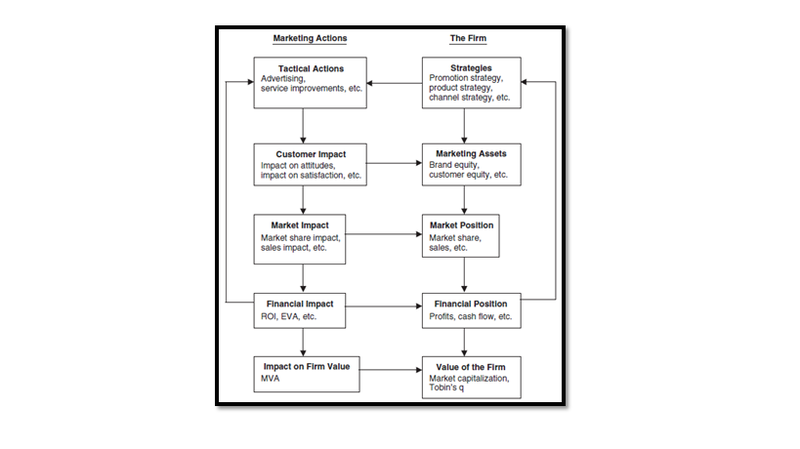 Important methods exist to evaluate tactics marketing, modeling market impact, marketing expenses and evaluating marketing assets, market conditions, the values ​​of the company and its financial position. These methods reflect the considerable progress that has been made in recent years. They not only provide a basis for the continuation of existing work, but also the tools to influence the practice of management Marketing. The goal is to bring greater credibility to marketers and to promote and advance the science and practice of Marketing. As Richard Quinn, vice-president of Quality at Sears said: “You simply can’t manage anything you can’t measure”. It’s important to measure how performance in terms of marketing has an impact on a society, thus to the shareholders value in order to enhance the role of marketing within the company and consider it as a full function. Desired improvements could be: more information on the results of campaigns, launches and promotions; more regular information delivered more quickly; forecasting and modeling, better information from clients. Financial managers emphasize on internal financial evaluation of results and the marketing men; elements other than financial assessment such as customer satisfaction. They are both imperative to measure the productivity of marketing in shareholders’ value. This article helped me realize the challenges of marketing performance and all performance indicators currently used by companies. However is it possible to determine a measure for all organizations? Image | Cet article a été publié dans Energie. Ajoutez ce permalien à vos favoris.